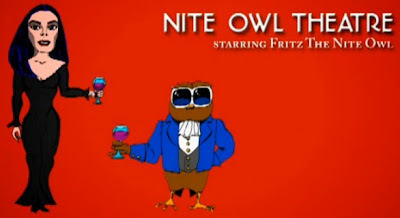 In the fifth episode of the second season of Nite Owl Theatre, Fritz the Nite Owl gets involved with the happenings at Nightmare Castle. 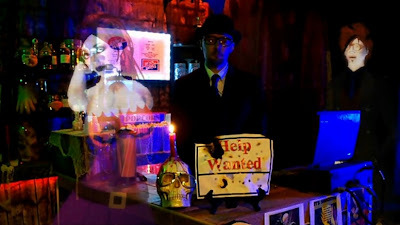 In an episode of Shocking Theater called Help Wanted, Justy Ghost looks for help at the theater as he presents the movie The Choppers. 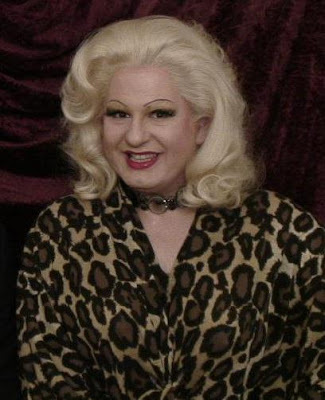 British host Bunny Galore began broadcasting her self titled show on Information TV and Showcase TV in 2012. 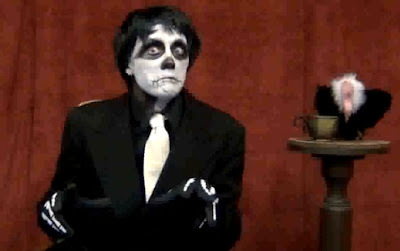 In the July 2012 episodes of Bloodshot Theatre, E. Spanto battles himself in between presenting the movie Hand of Death. 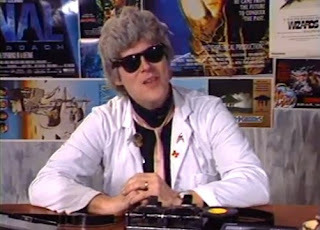 In the fifth episode of the third season of Monster Movie Night, Bobby Gammonster celebrates Summer by presenting the movie Attack of the Crab Monsters. 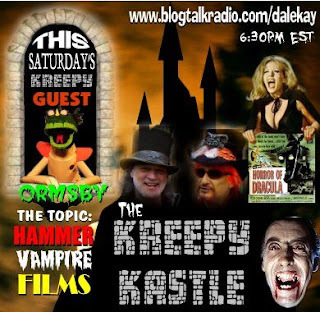 In a Halloween episode of Monster Creature Feature, Ormon Grimsby presented the movie I Was a Teenage Werewolf, along with band interviews and movie trailers. 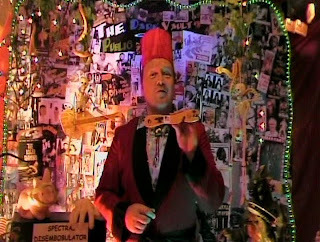 Weird-O-Rama began in June 2012 and is hosted by Victor Von Psychotron. 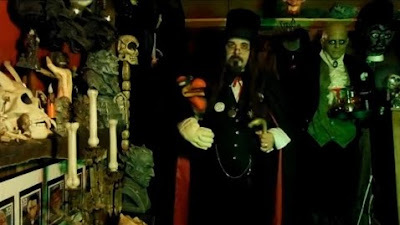 In the premiere episode, Victor presented the movie A Bucket of Blood. 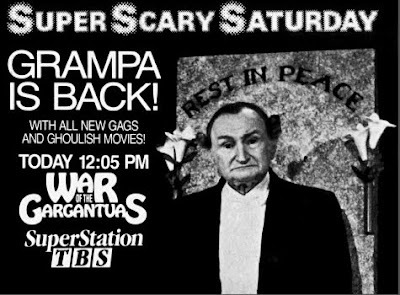 Grandpa Al Lewis presented horror and sci-fi movies every week on Super Scary Saturday, which aired on the TBS channel. Uncle Eerie Shiver, the host of Uncle Eerie's Shiver Show, has to go away for a while. 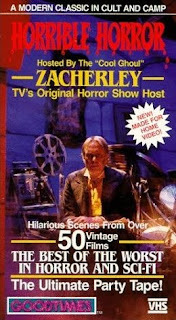 While he is away, he has picked someone else to host the movies on the renamed Shiver Show, which should start in October of 2012. 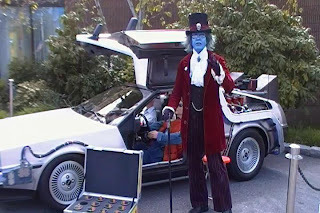 Dr. Mongo's Midnight Movie ran in Rhode Island from 1991 to 1993 with Dr. Mongo presenting movies alongside his assistant, Quiso. 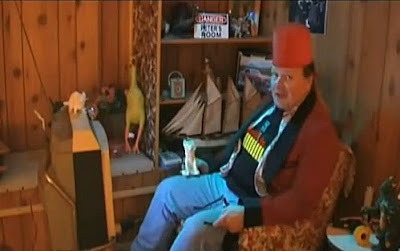 They made a brief return in the Shilling ShockersHorror Hosts of New England special. 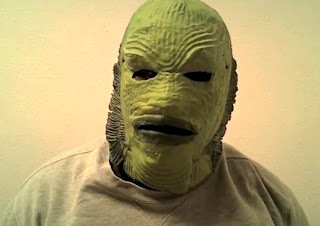 Episode eight of The Professor Gillman Show has Professor Gillman putting his own spin on the movie Teenagers From Outer Space. 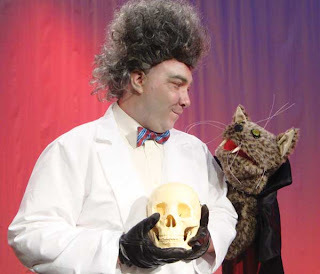 Professor Ghoul’s Horror School began airing June 1, 2012 on WKNO-TV Channel 10 in Memphis, Tennesee. 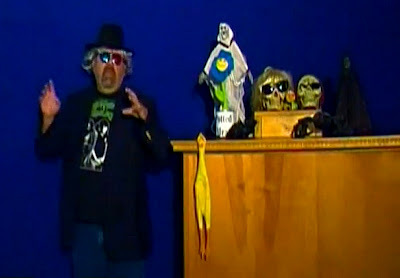 The show is hosted by Professor Ghoul, who is joined by Shotzi the cat. 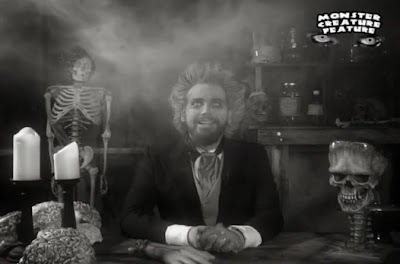 In the eleventh episode of the first season of The Dark Vault of Public Domain, Uncle Pete and El Vato get mellow as they watch the movie Reefer Madness. 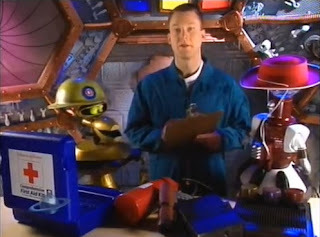 In the twelfth episode of the tenth season of Mystery Science Theater 3000, which originally aired on August 1, 1999, Mike Nelson and the bots perform a safety check on the satellite as they watch the movie Squirm. 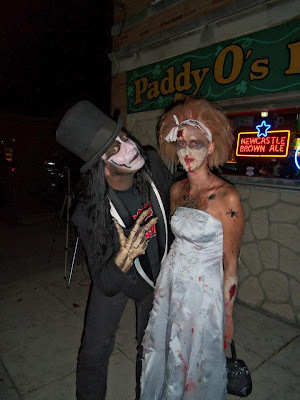 On May 6th 2012, Late Night With Uncle Fright host, Uncle Fright, visited the Southcoast Comic and Toy Show and interviewed some of the attendees and vendors. 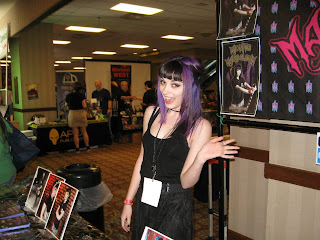 Ormsby, from Ormsby's Cinema Insane, interviewed the singer Alia Lorae at the 2012 Macabre Faire Film Festival. 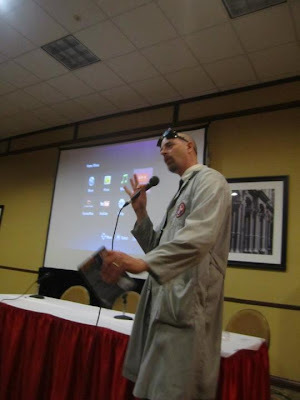 Blood E. Murder, the host of American Nightmares, will be coming out with a DVD of footage of Cinema Wasteland conventions from 2006 and 2007. 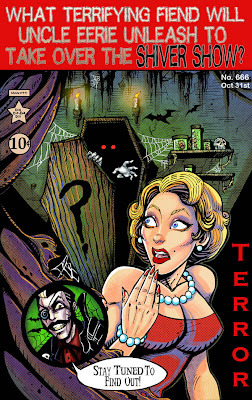 Included on the American Nightmares: Attack of the Cinema Wastelanders DVD are interviews with horror celebrities and horror hosts. Whatever Ivonna wants... Ivonna gets! 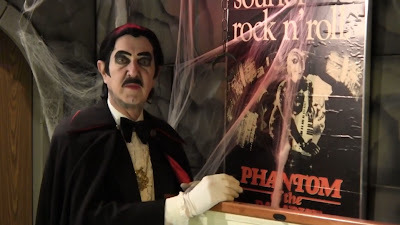 The band Denim Road have created a musical tribute to Macabre Theatre host Ivonna Cadaver with the song Whatever Ivonna wants... Ivonna gets!. 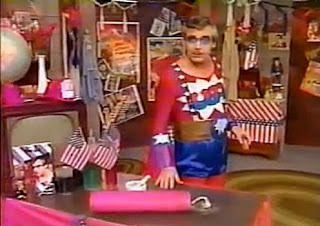 In an episode of Commander USA's Groovie Movies, Commander USA celebrates the 5th of July as he hosts the movie The Man and the Monster. 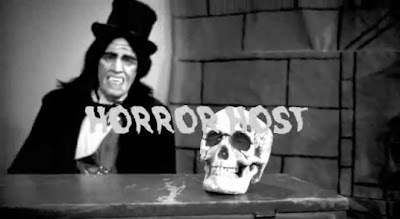 In an episode of Creepy Castle, The Crypt Meister and Warren head to the beach as they host the movie The Horror of Party Beach. 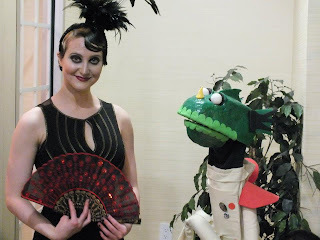 Ned and Pat from KYR interviewed Robyn Graves, from Midnite Mausoleum, at a recent convention. 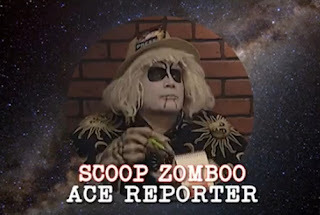 Zomboo continues to inform his viewers of weird and wacky news in the Zomboo's Strange and Odd News segments of his Zomboo's House of Horror Movies show.